Costs – Mesa, Arizona has the perfect weather for growing beautiful trees year-round. Part of the responsibility that comes with the weather, though, includes doing regular maintenance on the trees to keep them healthy. See what the average costs are for pruning and trimming trees in the area, along with tree and stump removal when needed. FAQs – Mesa can support a wide variety of new trees when homeowners are ready to add them to their property. See what thrives in the area, including shade and fruit trees, the plant hardiness zone designation of Mesa, regulations of the city when it comes to residential trees, and more! Services – Arborists in the Mesa area know the soil and climate like the back of their hand. Call them if you need a second opinion. We have all of them listed below. How Much Do Tree Services Cost in Mesa? Tree service companies consider a number of factors when determining price, such as set-up time, travel time, type of equipment required for the job, labor costs and the process of debris removal. The average price will usually be $429 but can vary between $360 and $498. If there are special circumstances, you can expect the price to be a bit higher. For example, if the tree is close to power lines, specialized equipment will be needed. In addition, each branch of the tree must be carefully roped for removal. Average costs for stump grinding in 2013 ranged from $82.55 to $139.75 per stump. With a stump removal, the root system is removed, and the tree will not grow back. This is a higher cost because it involves complete uprooting of the stump versus just grinding it down into wood chips but leaving part of it in the ground. The average cost in the Mesa area is between $250-300. The average costs for trimming, pruning and cutting trees in Mesa vary depending on the hardwood and species. The price range is $313 to $445, determined by the characteristics of the species and averages to $379. Species that are of a hard wood take more time to cut, and there are certain types of trees that have intricate branch patterns. Trees that produce a lot of foliage require more time and expertise to prune. The benefits of hiring a professional for these services include maintaining a healthier landscape and reducing the risk to tree diseases. 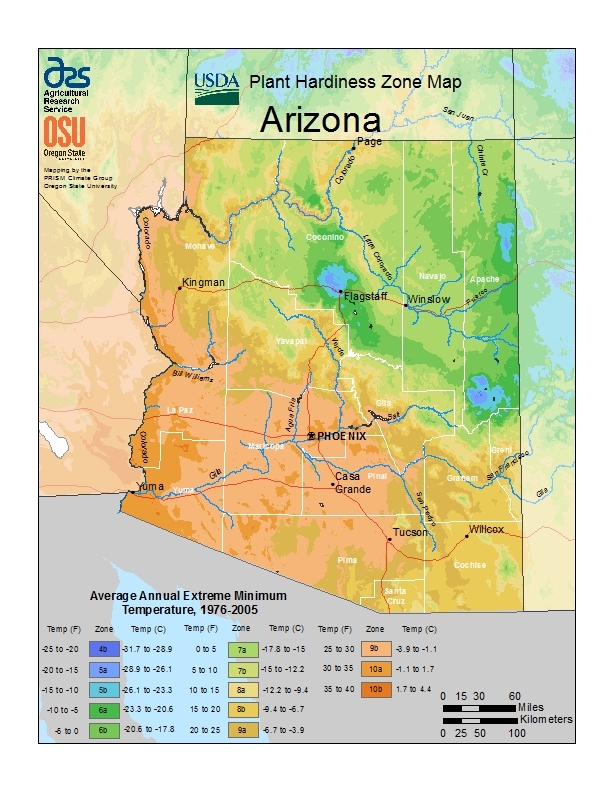 The soil in Mesa is generally alkaline with a high clay content and pH near eight. High air temperatures and low humidity levels cause the soil to evaporate quickly. Whenever you decide to plant a tree, it is important to choose one that can tolerate these temperatures extremes and soil conditions. Year-round planting of trees is possible, but the ideal time to plant is typically from September to April. During the cooler months, the roots will thrive and be well established before the summer heat. Property owners in Mesa are responsible for maintaining the trees on their properties and adjacent right-of-ways like sidewalks, alleys and streets. All dead trees must be removed and disposed of properly. Trees that extend over the sidewalks should be trimmed. A minimum of eight feet is required for passage. Trees that hang over a street must be trimmed with a minimum of 14 feet for passage. The blue palo verde (Cercidium floridum) has been the Arizona official state tree since 1954. It is abundant in the foothills and deserts in Mesa. The palo verde blooms in late spring and boasts impressive and brilliant displays of golden hue flowers. In Mesa, you can enjoy the beauty of the palo verde along with ancient Hohokam canals at the Park of the Canals. The most common trees in Mesa come from well-known categories: evergreen, pine, deciduous and citrus. These species thrive well in the city’s dry climate and desert temperatures. The whitethorn acacia (Acacia constricta) is a deciduous tree and can grow as high as 18 feet and has a girth that is just as wide. Its yellow blooms are delicate puffballs that blossom in the spring and summer. The whitethorn acacia also gives off a lovely fragrance. The cat-claw acacia (Acacia greggii) is another popular deciduous tree in Mesa. It grows quickly and up to 20 feet high. The cat-claw acacia has a sweet fragrance with delicate blooms in the spring. The branches point downward, and they should be pruned on regular basis. The citrus tree is abundant in Mesa. There are citrus orchards in Mesa that are full of mature trees that are decades old. The best time to plant these trees is in March, April and October. With good care, the lemon and lime citrus trees can produce up to 1,000 pounds of fruit per season for up to 80 years. Other popular fruit trees that thrive well in Mesa include some exotic varieties like guava, avocado, papaya, banana and mango. The dwarf rootstocks for apples, plums, peaches and nectarines are the smallest trees in Mesa and grow from three to five feet tall. The most difficult trees to maintain in Mesa include the giant sequoia and African sumac trees. This is due to their low resistance to drought. Also, the African sumac tree is an invasive plant species in Arizona, which means that planting it goes against the native species by sucking away water from them. Since Mesa is a desert climate, it gets very little rain and has hot days of over 100-degree temperatures, which these two types of trees cannot handle very well. Of the more than 30 virus-like tree diseases that have been identified, only three occur in Mesa, including pear decline (mycoplasma), citrus virus (psorosis) and citrus aphids (tristeza). For the most part, problems with trees usually occur from improper maintenance and are due to excessive sun and heat. With proper watering, good drainage and the right nutrients, these problems can easily be avoided. SRP, Arizona’s public utility company, requires that no homeowners have trees pruned or removed within 10 feet of power lines. It is against state law, not to mention dangerous. They should call the utility company instead, which has trained professionals to come out and prune the vegetation. Any tree that is too near to a power line or encumbers one will be removed by the city.